Fun has become the focus for hotels as many are developing young, hip advertising campaigns. Their goal is to bring a fresh perspective to their hotel marketing and promote the guest experience beyond the typical resort features. The New York Times reported on how the hotel industry’s marketing is now leaning toward lifestyle advertising. Renaissance recently launched a lifestyle advertising campaign that targets its primary market of business travelers by promoting the unique experience and exciting environment of their properties. Owned by Marriott since 1997, the hotel hasn’t done any major advertising since its acquisition. In the new print ad campaign, Renaissance highlights its concierge-type services designed to enhance the business traveler’s personal experience, not just the professional one. The print ads are slated to run in the spring and fall issues of upscale American business and travel magazines, while the same advertising message will be featured in TV ads in Asia, as well as airport signage in China and India. In addition, Renaissance is trying to appeal to a younger demographic by sponsoring a band contest at the MTV European Music Awards. 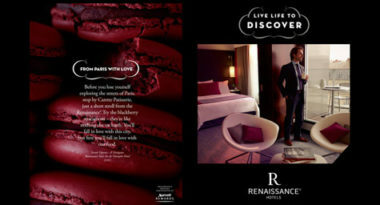 To promote the opening of the huge Revel resort in Atlantic City, the hotel launched a multi-faceted lifestyle ad campaign spotlighting the unique experiences at the Revel. Print ads feature intriguing objects, such as dice and snorkeling gear, to convey some of the exciting activities at the resort. A TV commercial is filled with attractive people suggestively positioned throughout the resort, while radio ads emphasize the fun-filled hotel experience. The ads are being placed throughout regional media to attract the 40 million potential leisure travelers over age 21 living within a five-and-one-half-hour drive of Atlantic City. 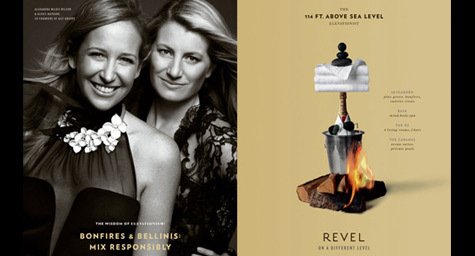 The Revel ad campaign is similar to a recent one for the Cosmopolitan resort in Las Vegas. Both campaigns were designed “to mix naughtiness and nice, and are emphasizing the lifestyle aspects of a stay,” said Henry Harteveldt, co-founder of the Atmosphere Research Group. Hotel industry analysts believe that this new lifestyle approach to advertising will attract a more affluent clientele to locations not typically preferred by such upscale travelers, such as the gaming destinations of Atlantic City and Las Vegas. These lifestyle ads broaden the view of these gambling sites and position them as intriguing resorts full of new and novel experiences. To incorporate lifestyle advertising to bring a fresh perspective to your hotel’s marketing campaigns, contact MDG Advertising today at 561-338-7797 or visit mdgadvertising.com. Read more at the NYTimes.com.